Russian Foreign Minister Sergey Lavrov said at a news conference on Tuesday that the US-led international coalition is ‘relucant’ to strike Jabhat Al Nusra (Al Nusra Front/Jabhat Fatah al-Sham) targets in Syria. 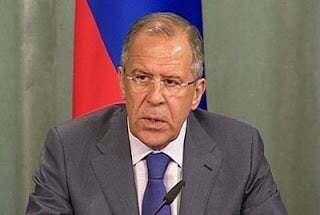 He added that the status of terrorist group will be discussed with Washington. “I have no reason not to trust [US Secretary of State] John Kerry, but what we see on the ground [in Syria] is that the coalition is very reluctant to strike the positions of the Nusra Front,” Lavrov said. Lavrov added that there is an evidence that many of powers in Syrian confllict have been increasingly viewing Jabhat Al Nusra ( a new brand – Jabhat Fateh al-Sham) as a “force which should be preserved to facilitate the change of the regime in Syria” and calling for it to be legalized. “This is a topic for a very serious discussion with our American partners,” the Russian minister added.